SINTESI CONTENENTE UNA BREVE DESCRIZIONE DEL LAVORO SVOLTO E DEI RISULTATI OTTENUTI: What is known. Obesity is a worldwide epidemic health problem, and up to 60% of pregnant women are obese/overweight before pregnancy [Vahratian, A. Prevalence of overweight and obesity among women of childbearing age: results from the 2002 National Survey of Family. Growth Matern Child Health J 13, 268–273 (2009)]. Clinical studies and findings in animal models suggest that developmental programming in presence of maternal obesity and nutrient excess in utero increase the risk of offspring to develop obesity and/or obesity associated metabolic diseases later in life [Reynolds, RM. et al. Maternal obesity during pregnancy and premature mortality from cardiovas cular event in adult offspring: follow-up of 1 323 275 person years. BMJ 347, f4539 (2013); McCurdy, CE. et al. Maternal high-fat diet triggers lipotoxicity in the fetal livers of nonhuman primates. J Clin Invest 119, 323–335(2009)]. In humans, amnion from placental tissue is the main interface between fetus and mother, it regulates intrauterine development and also modulates adaptive responses to suboptimal in utero conditions such as obesity and/or an obesogenic diet [Lillycrop, K.A. & Burdge, G.C. Epigenetic changes in early life and future risk of obesity. Int J Obes 35, 72-83 (2011)]. Amnion is a source of fetal mesenchymal stem cells (hA-MSCs) that have a close ontogenic relationship with embryonic stem cells, but unlike the latter, they are accessible without ethical problems, as placenta is usually discarded at birth. 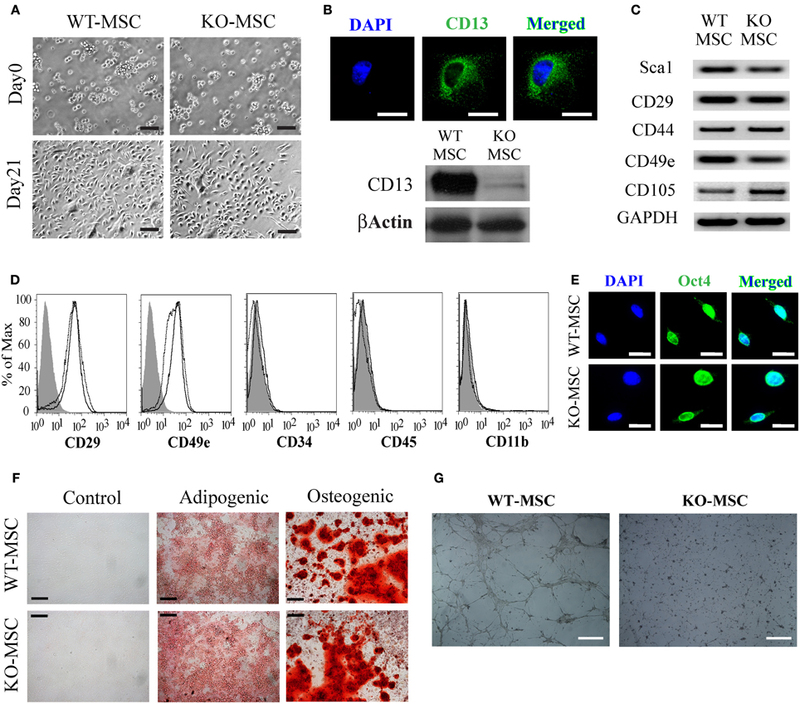 HA-MSCs have multipotent differentiation potential, including the potential to differentiate in adipocytes, thus they represent a useful cellular model with which to investigate dysfunctions in adipose tissue during obesity [Pappa K.I. & Anagnou N.P. Novel sources of fetal stem cells: where do they fit on the developmental continuum? Regen Med 4, 423-433 (2009)]. Our hypothesis. We hypothesized that the obesogenic environment represented by amnion in obese pregnant women could drive metabolic dysfunctions also in hA-MSCs. Alterations in hA-MSCs regarding epigenetics [i.e. microRNA (miRNA)] and proteomics could cause important consequences on the growth and intrauterine gene programming of the foetus predisposing the newborn to a higher risk of obesity and/or to obese-related complications in the later life. Main results of our previous study. We first studied the miRNA expression profile in amnion from obese and control women at delivery to investigate if a specific miRNA-signature is associated with obesity. We found 7 miRNAs expressed only in obese women, while 13 miRNAs were expressed at a higher level and 12 at a lower level in obese women than in controls, showing that the miRNA profile is altered in amnion during obesity. These miRNAs could affect pathways important for placental growth and function thereby contributing to increase the newborn’s risk of future metabolic diseases [Nardelli C, Iaffaldano L, et al. Characterization and predicted role of the microRNA expression profile in amnion from obese pregnant women. Int J Obes (Lond). 3; 466-469 (2014)]. Main results of the present study. Here, we characterized hA-MSCs from term placenta of obese (Ob-) women and tested their adipogenic potential with respect to those of hA-MSCs from control (Co-) women. We also measured several maternal and newborn clinical and biochemical parameters, and looked for correlations between these parameters with the hA-MSC immunophenotype. We found that the Ob-hA-MSC immunophenotype was characterized by increased expression levels of the CD13 surface antigen that correlated with maternal CD13 serum levels. Adipogenesis was higher in Ob-hA-MSCs than in Co-hA-MSCs, and returned to the control value after CD13 silencing. On the other hand, CD13 overexpression increased the adipogenic potential of Co-hAMSCs. Conclusion. Our findings suggest that CD13 measured in maternal serum is an obesity risk marker and CD13 surface antigen could contribute to obesity programming in the fetus by increasing the adipogenic potential of hA-MSCs in presence of maternal obesity.